In order to design kitchens of the future, it helps to understand kitchen design of the past. By doing so, we believe we can help clients with large country houses understand how their houses were initially intended to be used, and in doing so, how we can improve how they are used in the future. The Artichoke team pays particularly close attention to how country houses were originally intended to operate, and how changing socio-economic environments have affected this use over time. There have been huge cultural changes over the last 150 years. 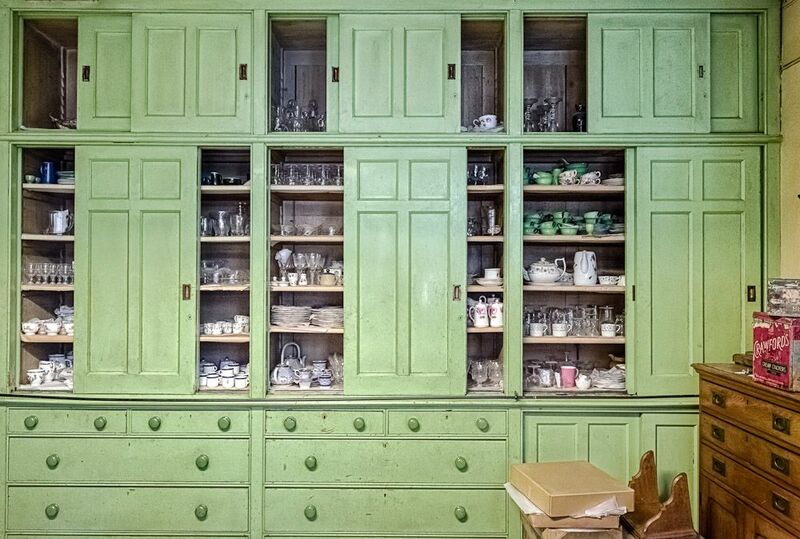 It was not until the mid 19th century that kitchen design became of interest to house owners. Prior to that, the owners of large country houses were simply not interested in their kitchens or how they were designed. The rooms were out of site, often in the basement or away from the main body of the house. They were therefore out of mind, run by the cook, the servants and the housekeeper, and the closest they got to interior design was choosing the paint colour. In the 1860s, changes in social attitudes began to alter the social hierarchy of the country. Before this, the Lady of the grander country house would plan her weekly meals with her cook. With the industrial revolution creating more jobs in factories, and an establishing rail network allowing easier movement, a burgeoning middle class began to appear. Servants positions became less interesting to the ambitious jobseeker. This turn of events was very well documented in the BBC’s series Downton Abbey. The growth of the middle classes (who could afford fewer servants and smaller houses), meant an increasing number of women found themselves in the kitchen. Originally they made bread and trained their staff, but more increasingly they found themselves working alongside the kitchen staff they employed. It was inevitable that improvements to cleanliness, comfort and kitchen interior design would soon follow. 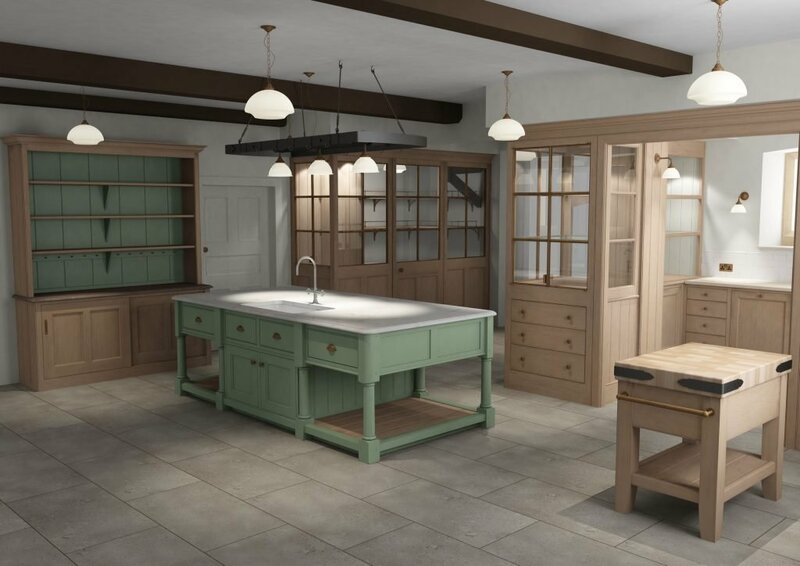 This was emphasised by influential cookery writers of the age such as Mrs. Beeton who capitalised on the countries’ new found love for kitchen design and kitchen living. Shows Artichoke’s design for a Jacobean house in which we have taken inspiration from the kitchen at Tyntesfield Abbey. The improved kitchen interior was further fuelled by the introduction of mains water, gas and plumbed in sinks and boilers during the 1870s. The Victorian kitchen was now becoming a more pleasant place to spend the day. Fast forward to present day, and it is estimated that the British spend over an hour and a half a day cooking which for many represents 3 years over the average life. It’s small wonder then that we place so much value on good kitchen design. Contact us on 01934 745270 or email newprojects@artichoke.co.uk if you have a design project you would like to discuss.